Every effort has been made to ensure the accuracy of our patterns, but sometimes corrections are necessary or we discover an easier way of explaining things. Despite many proof readings and sample making, errors can get through. 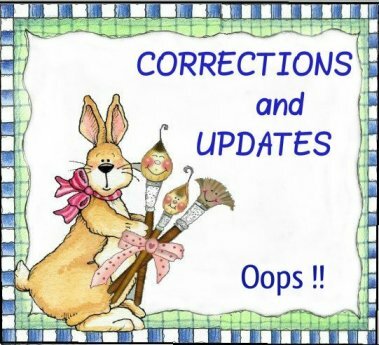 If you find a mistake, we would appreciate you contacting us by email so these corrections can be made on our next printing. We are not able to reach everyone that has purchased a pattern, so all correction will be posted here on our web site for your information. Please check back often as we will do our utmost to keep all changes current.